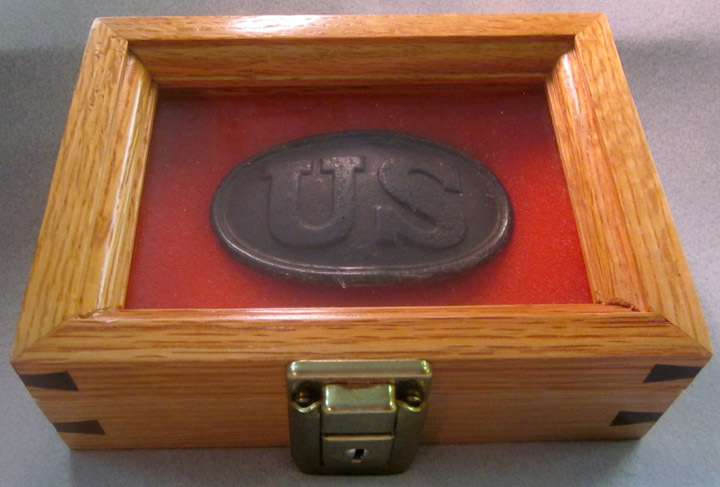 Show your relic in this beautifully finished and locally handcrafted case. Our wooden cases are manufactured with no nails or screws and come with dove tail corners, the craftman's signature. All cases have a glass viewing window and are offered with both Oak or Walnut construction. 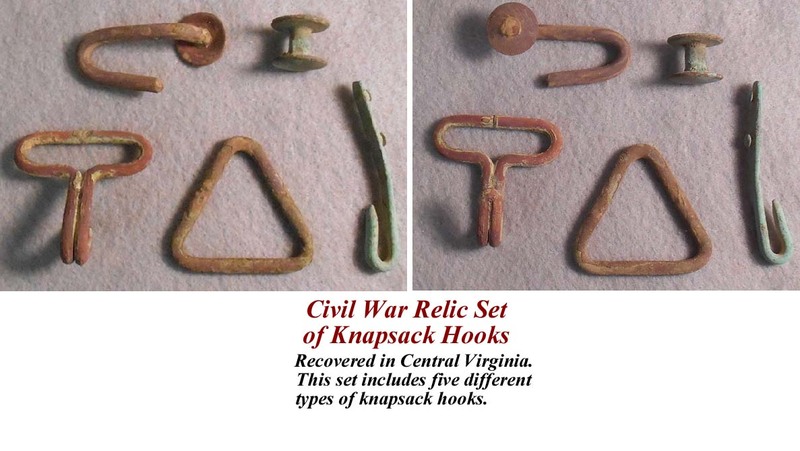 Civil War Relic Set of Knapsack Hooks. Recovered in Central Virginia. 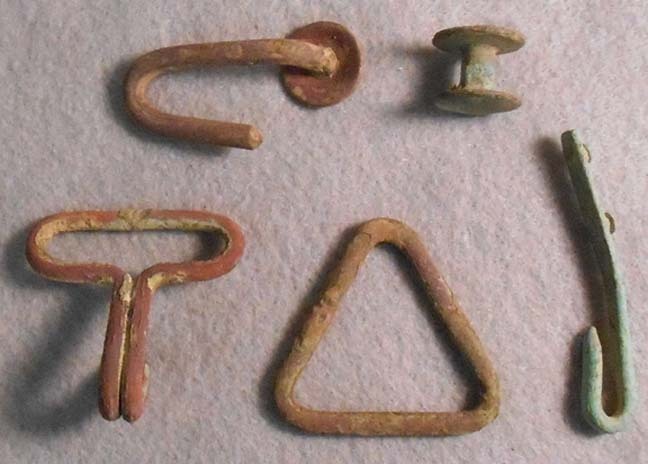 This set includes five different types of knapsack hooks. 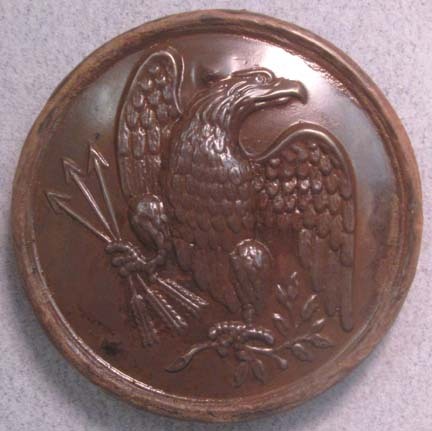 U.S. Eagle N.C.O. 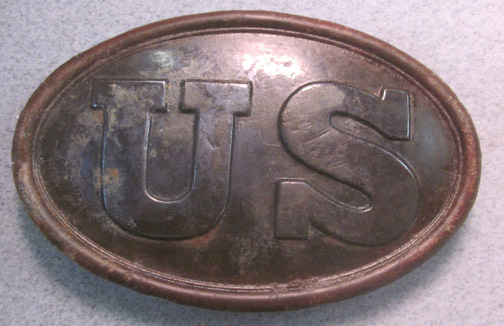 shoulder belt plate. This N.C.O. 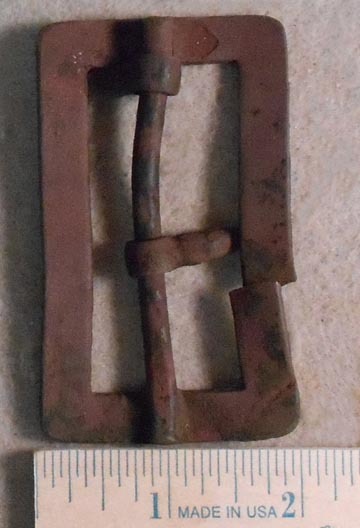 shoulder belt plate, perfect with all three iron hooks, probably made by Dingee but unmarked. This amazing plate was dug at the Battle of The Wilderness. 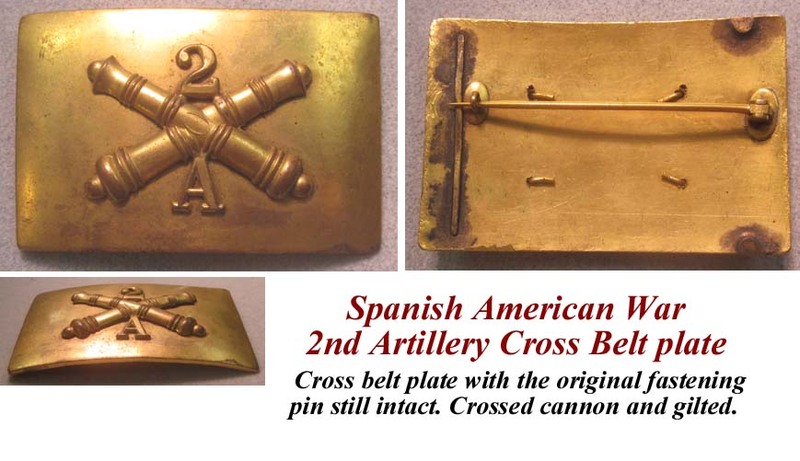 Spanish American War 2nd Artillery Cross Belt plate. 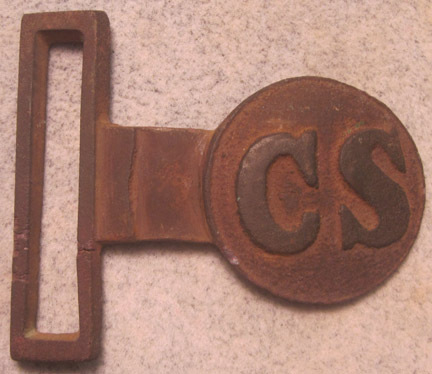 Cross belt plate with the original fastening pin still intact. Crossed cannon and gilted. This C.S. tongue was dug in Eastern Henrico County about fifty years ago. Nice brown patina, mics at 31mm diameter, 56.42 length. Minor scratches along part of keeper. 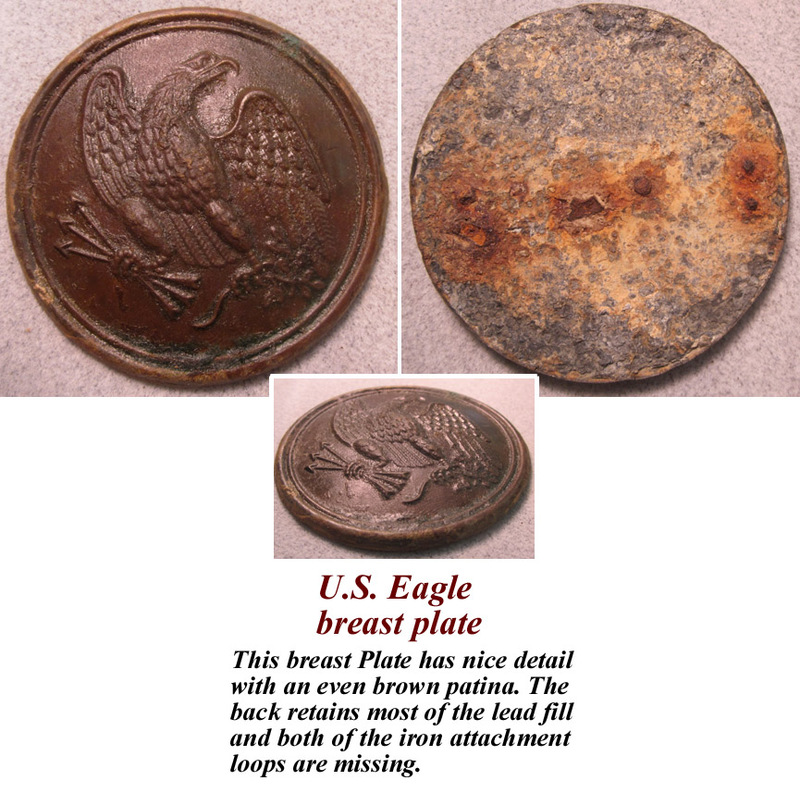 This breast Plate has nice detail with an even brown patina. 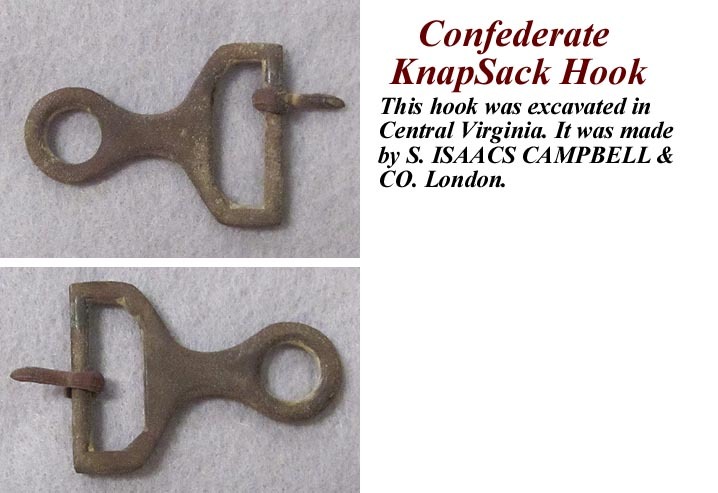 The back retains most of the lead fill and both of the iron attachment loops are missing. 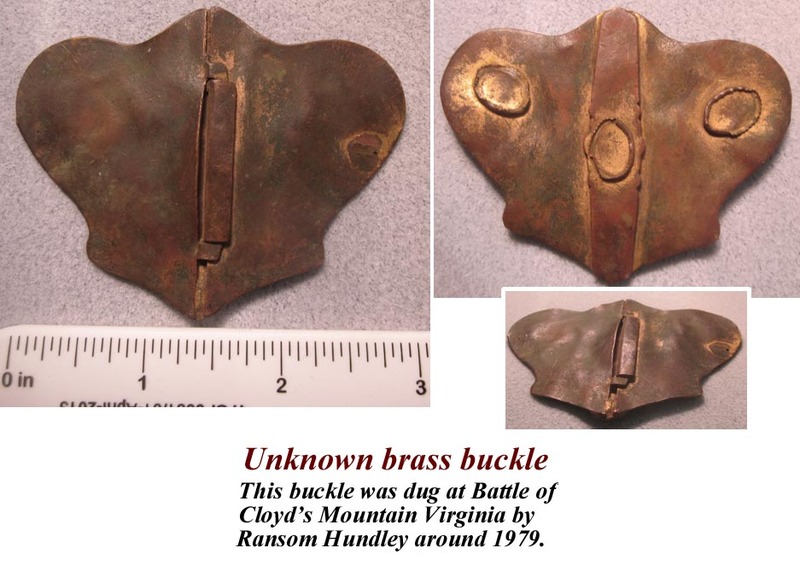 This buckle was dug at Battle of Cloyd's Mountain Virginia by Ransom Hundley around 1979. 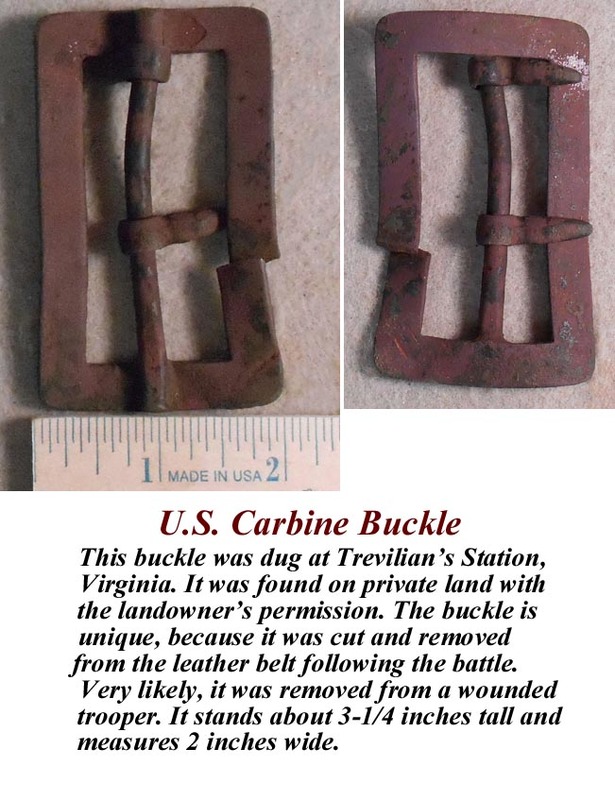 This buckle was dug at Trevilian's Station, Virginia. It was found on private land with the landowner's permission. 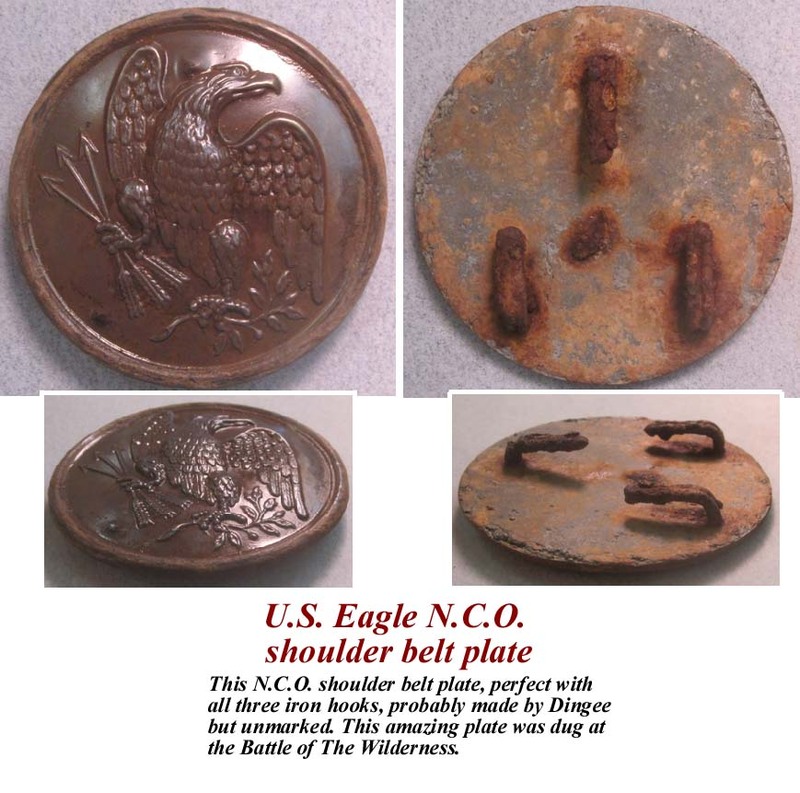 The buckle is unique, because it was cut and removed from the leather belt following the battle. Very likely, it was removed from a wounded trooper. It stands about 3-1/4 inches tall and measures 2 inches wide. 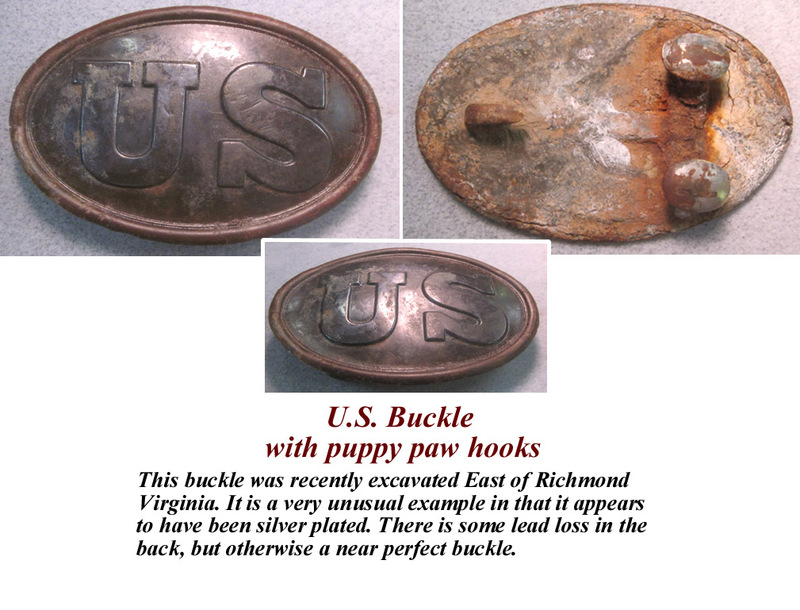 U.S. Buckle with puppy paw hooks. 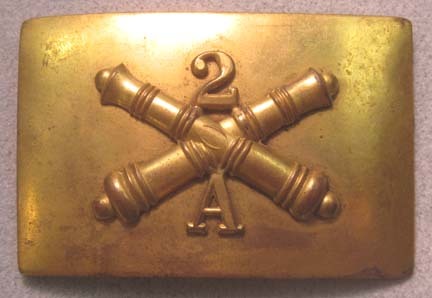 This buckle was recovered at the battle of Cold Harbor, Virginia at a depth of 22". The digger was using the remarkable XP DEUS metal detector with a 9" coil. It is a very unusual example in that it appears to have been silver plated. 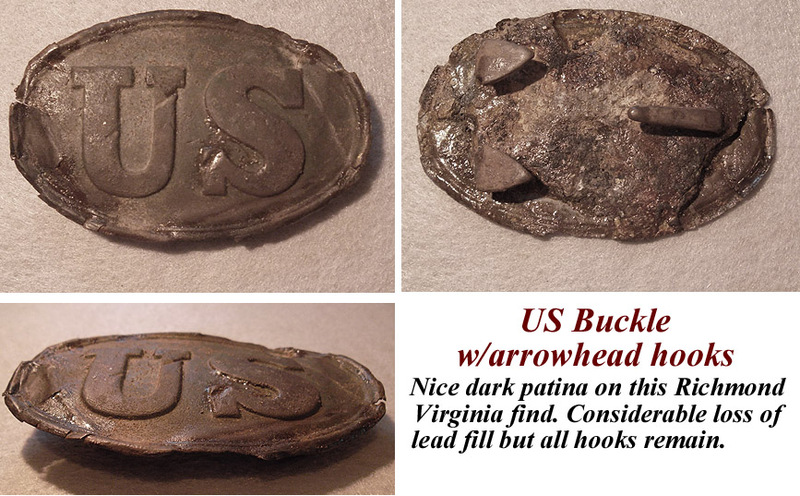 There is some lead loss in the back, but otherwise a near perfect buckle. 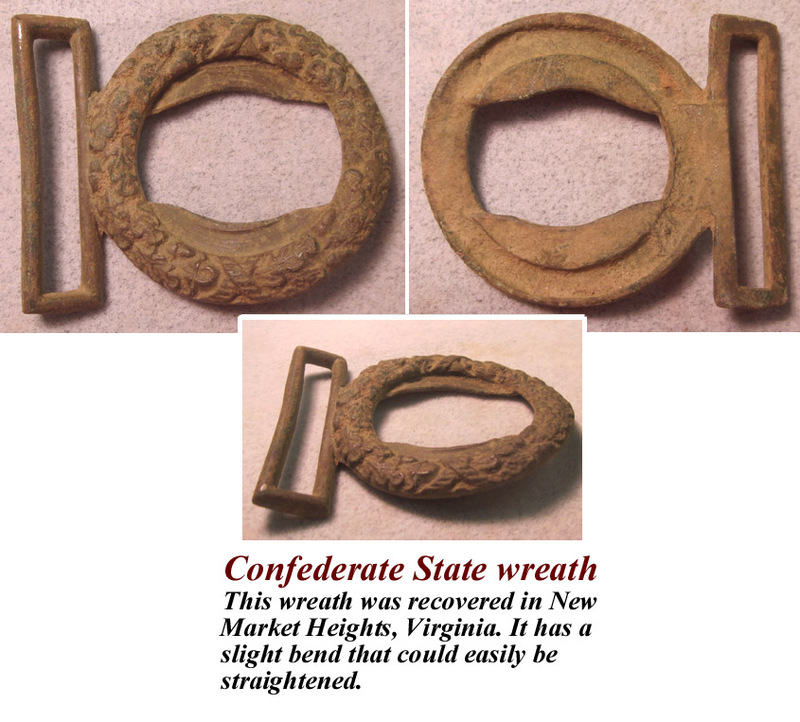 This wreath was recovered in New Market Heights, Virginia. It has a slight bend that could easily be straightened. I dug this miscellaneous brass C.S. buckle about twenty five years ago along US Route five. I also dug a C.S. 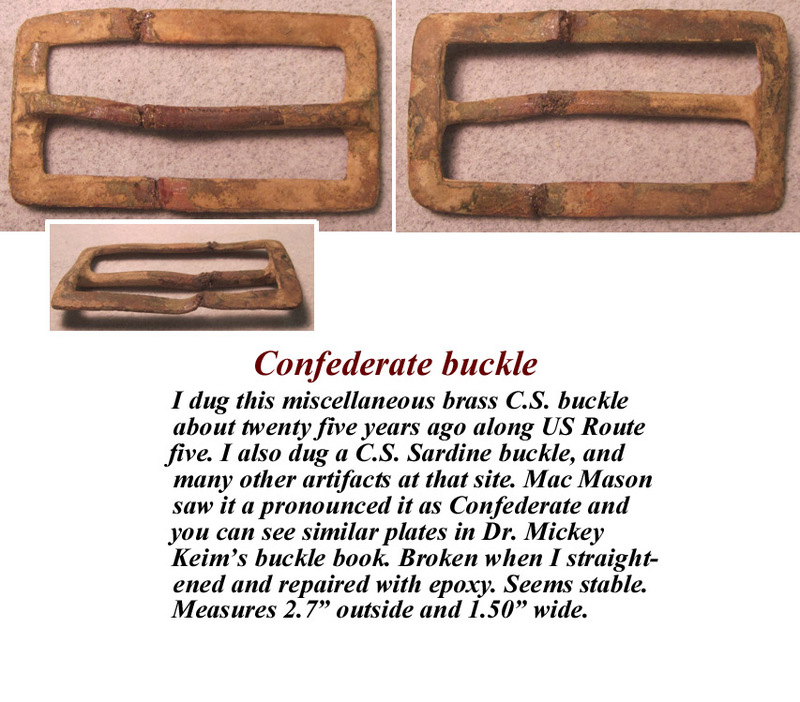 Sardine buckle, and many other artifacts at that site. 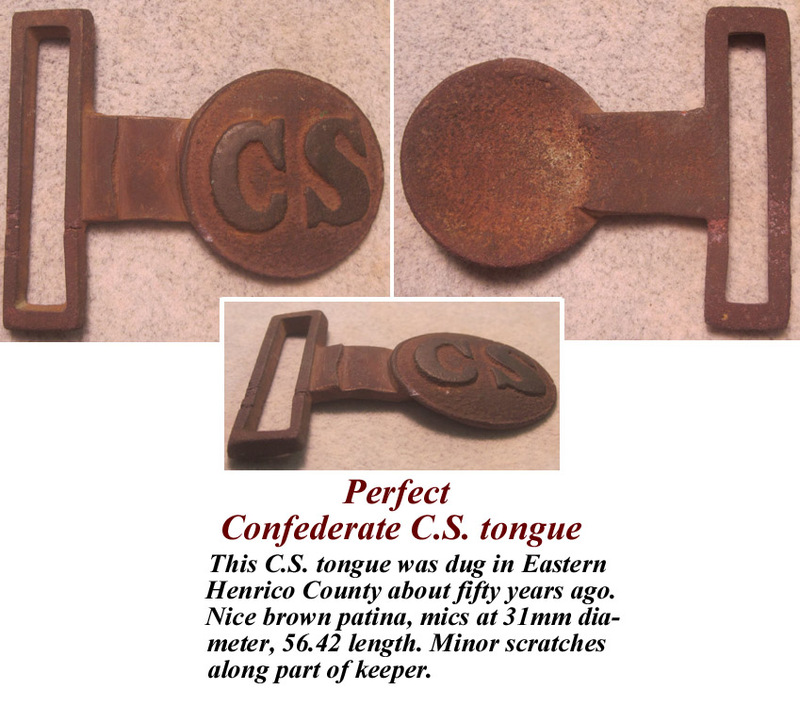 Mac Mason saw it a pronounced it as Confederate and you can see similar plates in Dr. Mickey Keim's buckle book. Broken when I straightened and repaired with epoxy. Seems stable. Measures 2.7" outside and 1.50" wide. This plate is in excellent condition, as shown in the picture. ancient symbol for "Good Luck". This plate was excavated in Central Virginia. intact, as shown in the picture. 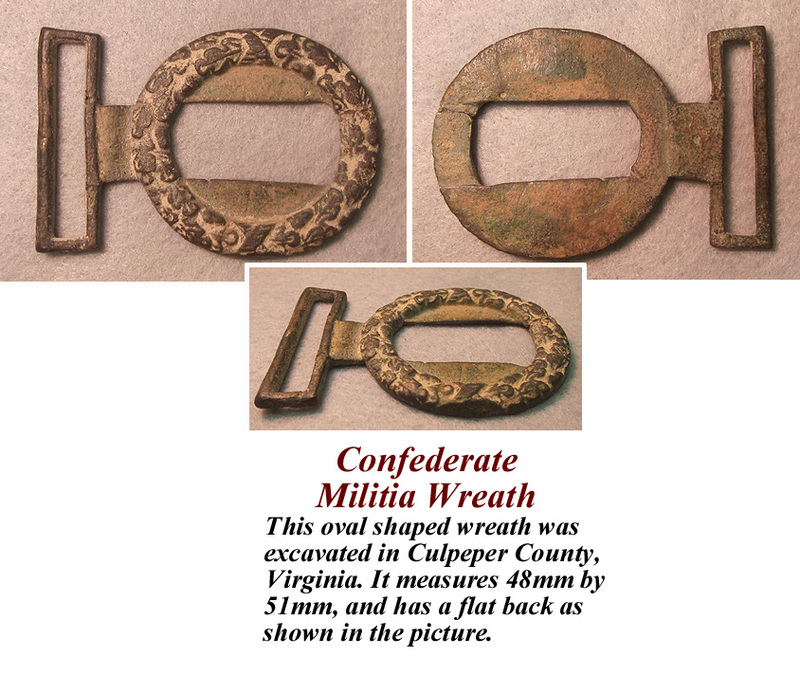 This oval shaped wreath was excavated in Culpeper County, Virginia. It measures 48mm by 51mm, and has a flat back as shown in the picture. 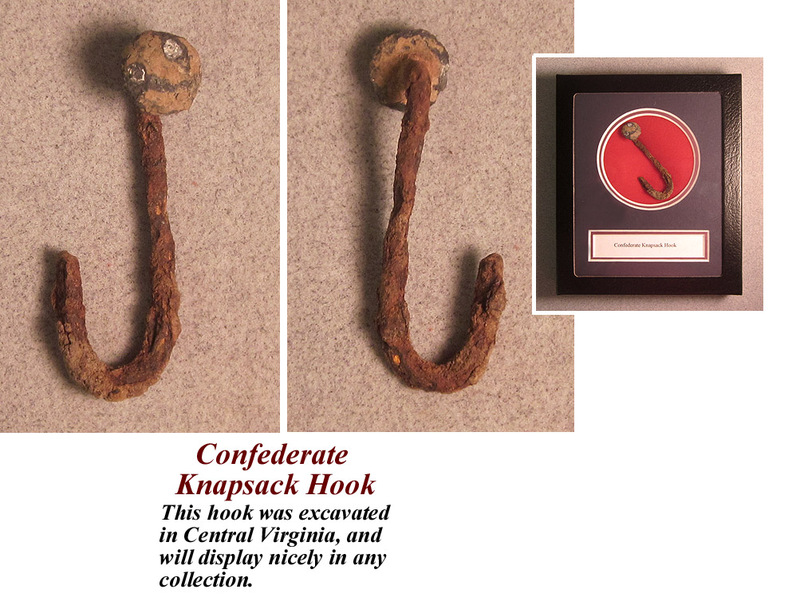 This hook was excavated in Central Virginia. 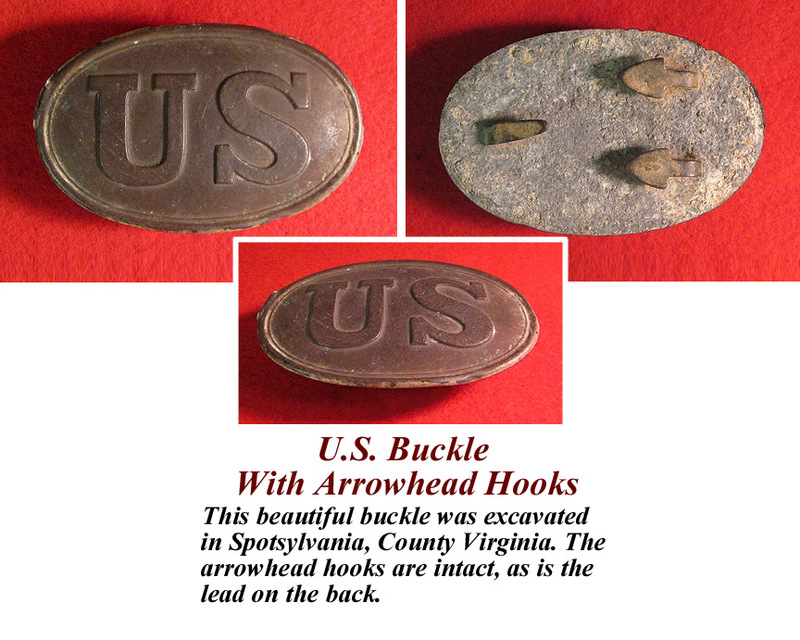 U.S. Buckle with Arrowhead Hooks. 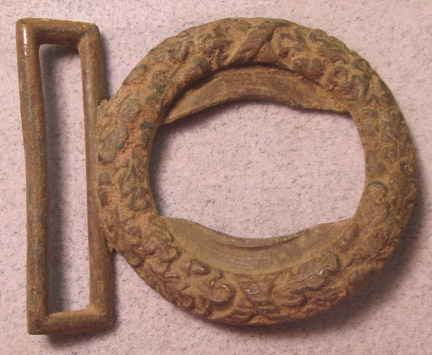 This buckle was excavated in Central Virginia. intact as shown in the picture. includes the hook beautifully displayed in a Sgt. Riker case, as shown in the picture. but nonetheless a great artifact. 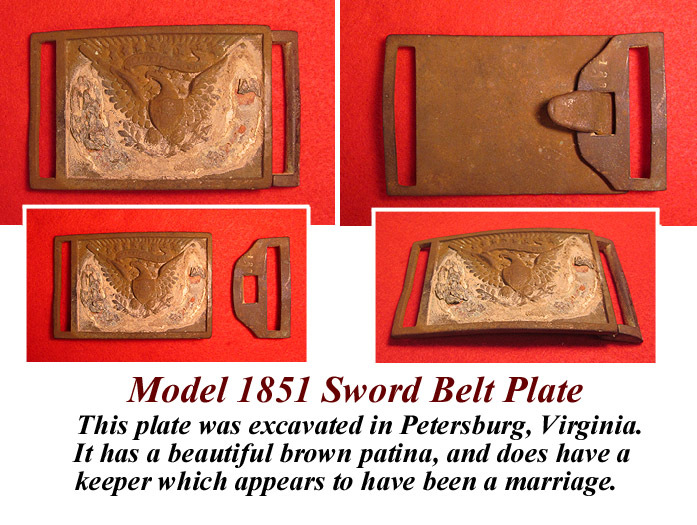 Model 1851 Sword Belt Plate. 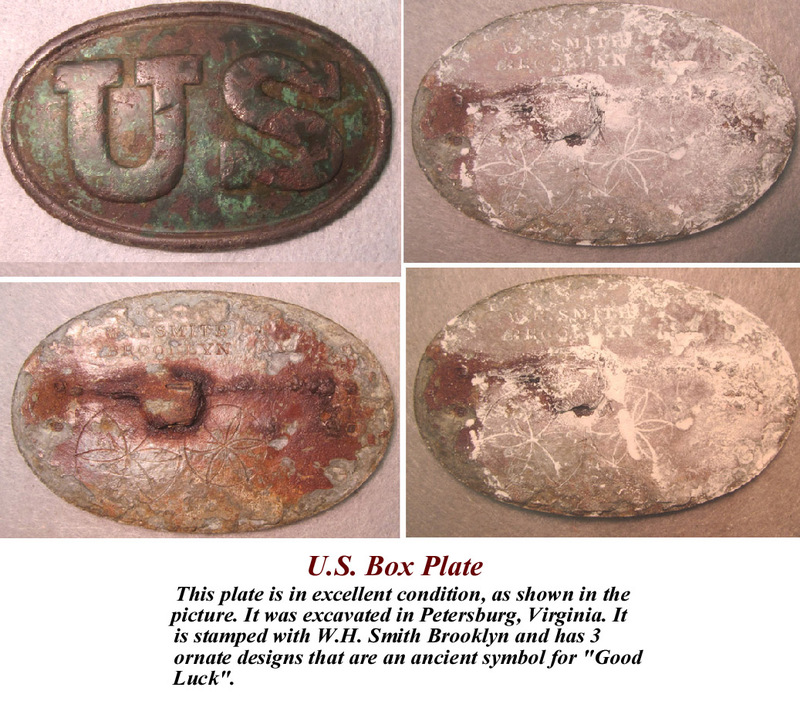 This plate was excavated in Central Virginia. It has a nice brown/green patina, and appears to be a marriage. 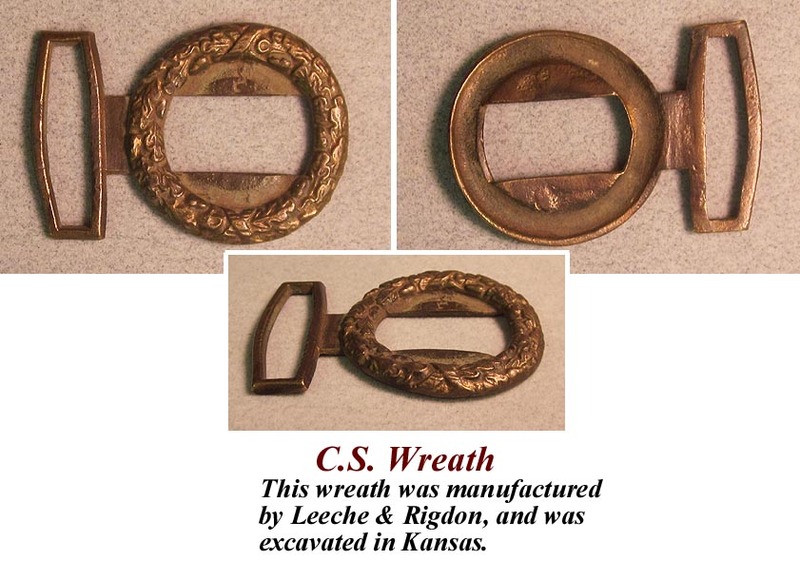 The wreath is missing as shown in the picture, but is still a very collectable artifact. 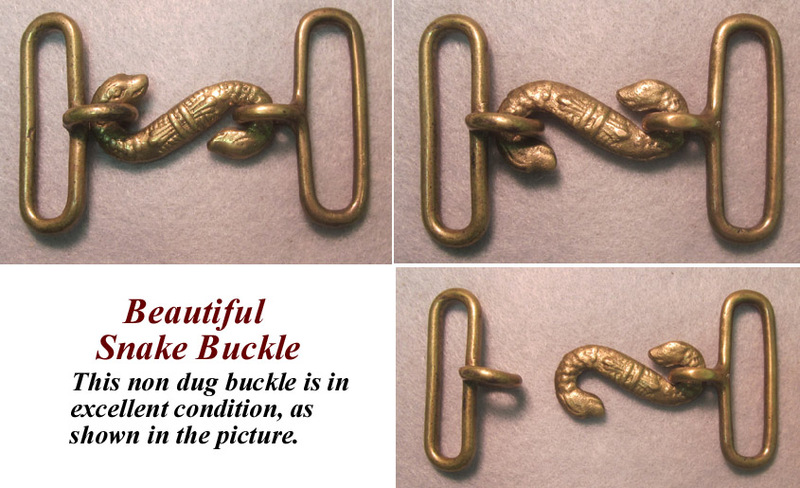 This beautiful buckle was excavated in Spotsylvania, County Virginia. 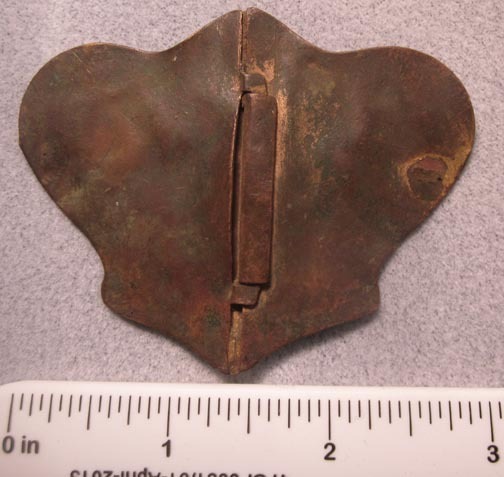 The arrowhead hooks are intact, as is the lead on the back. 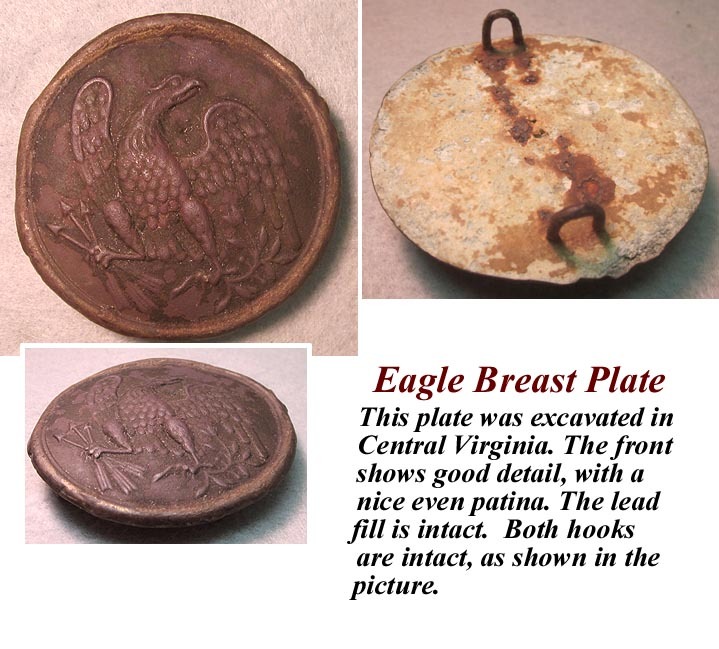 This plate was excavated in Petersburg, Virginia. It has beautiful brown patina, and though it does have a keeper, it appears to have been a marriage. 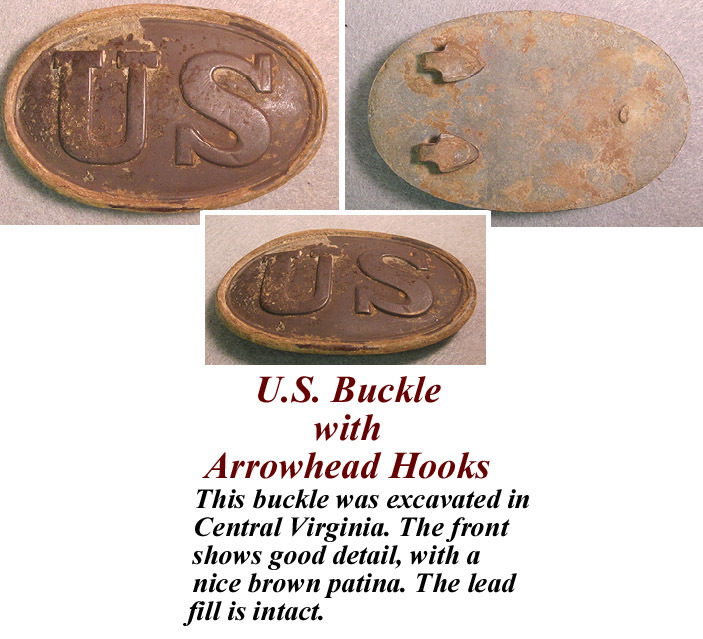 U.S. Buckle with arrowhead attachment hooks. 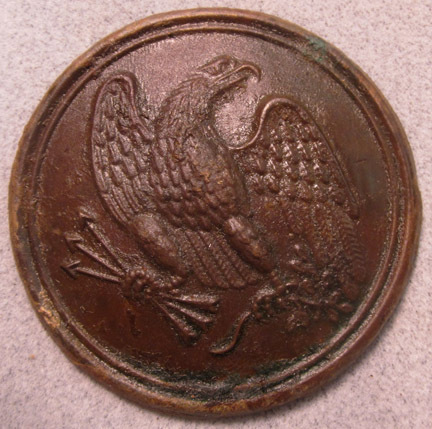 This artifact was recovered from the Richmond Virginia area. Its face has a dark brown patina with moderate damage to the rim ... as seen in the picture. There's some glue residue present on its face from where the digger apparently attempted to stabilize the plate. 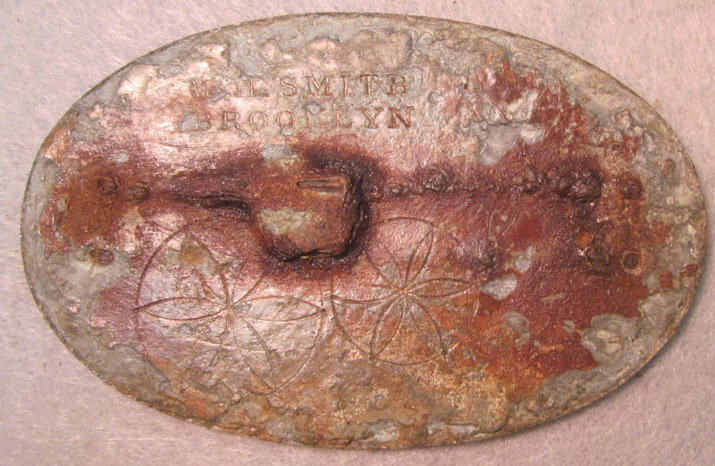 The reverse of the plate has considerable loss of lead but the arrow hooks are still present. Comes well displayed in a Sgt. Riker display case. 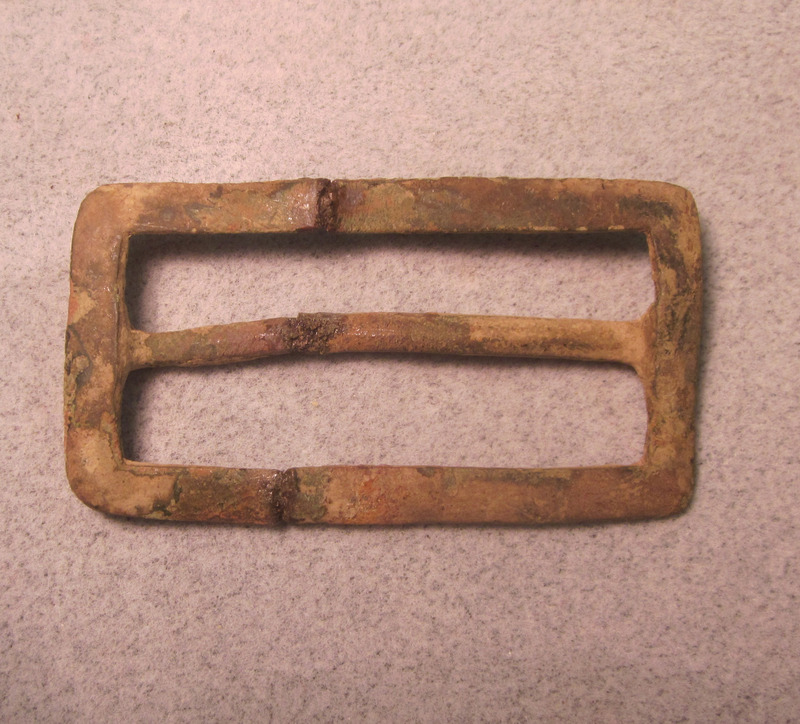 1850's Naval sash buckle. Virginia relic. motif, this piece measures 2.25" tall.